Tony McCabe & Kiama Thatcher from the Australian Lifeguard Service patrolling Tathra Beach in 2016. Photo Sarah Chenhall, Sapphire Coast Tourism. 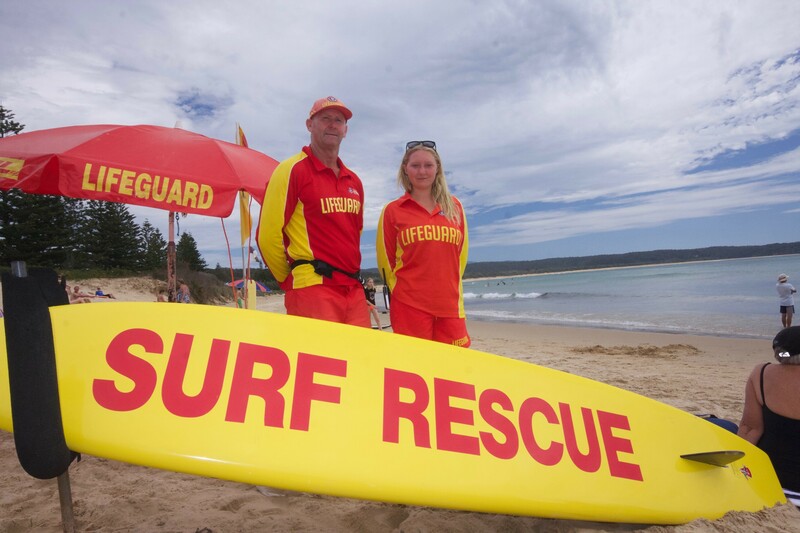 For the last 3 summers, businesses in Tathra and Bega have worked together to fund a beach safety program that has kept the famous red and yellow flags flying on Tathra Beach during February. Our golden strip of sand has been the only beach south of Ulladulla with a 7-day-a-week lifeguard service during the final month of summer. To build on the reputation Tathra has with grey nomads and young families at this magic time of year, the Tathra and District Business Chamber is once again seeking financial support from local businesses and organisations to keep the flags flying in 2018. “February is a big month in Tathra, many young families and retirees are attracted to our beautiful beach after the busy school holiday period,” Chamber Vice President, Rob White says. “The feedback from holidaymakers is always terrific, it’s clear that people come to Tathra during February because they know our beach is patrolled, this extends our summer and gives Tathra a point of difference,” Rob says. Locals know that February is the best time of year on our beaches, daily temperatures are similar to January, but the water is warmer and the winds lighter. Lifeguards employed by Bega Valley Shire Council keep watch over beach goers Monday to Friday during the summer school holidays, complimenting the outstanding volunteer effort each weekend from Tathra Surf Life Saving Club. “But once school goes back after Australia Day the Council service stops, leaving visitors to our town and members of our community at risk,” Rob says. The Chamber is now hoping to raise the $13,000 needed to keep professional life guards on Tathra Beach, Monday to Friday from January 29 until February 23. Secretary of the Chamber, Carmen Risby says the results speak for themselves. “The extended beach patrols on Tathra Beach during February last year meant that lifeguards were on hand to perform 14 rescues,” Carman says. Businesses who take part will receive significant media exposure, and generate tremendous goodwill within the local community. Thank you to the businesses who have already made a commitment – Tathra Big4, Tathra Beachside, Tathra & District Business Chamber, Tathra Beach House, Tathra Beach Bowling Club, Bendigo Bank, and Tathra Hotel. More are needed to keep the flags flying. Please contact Rob White at Tathra Beach House Apartments for further information on becoming a business or organisation sponsor – [email protected] or phone 6499 9900.